Kumquat Growers Inc. has helped the childcare center for years by providing the kumquat puree that we need to make our Pies for the Kumquat Festival. The proceeds from the festival are part of our yearly budget to keep our tuition as low as possible. The Kumquat and Citrus industries have been decimated in recent years due to insects and disease. The use of the Tree Net will help prevent the damage to the Tree and Fruit caused by insects and weather. 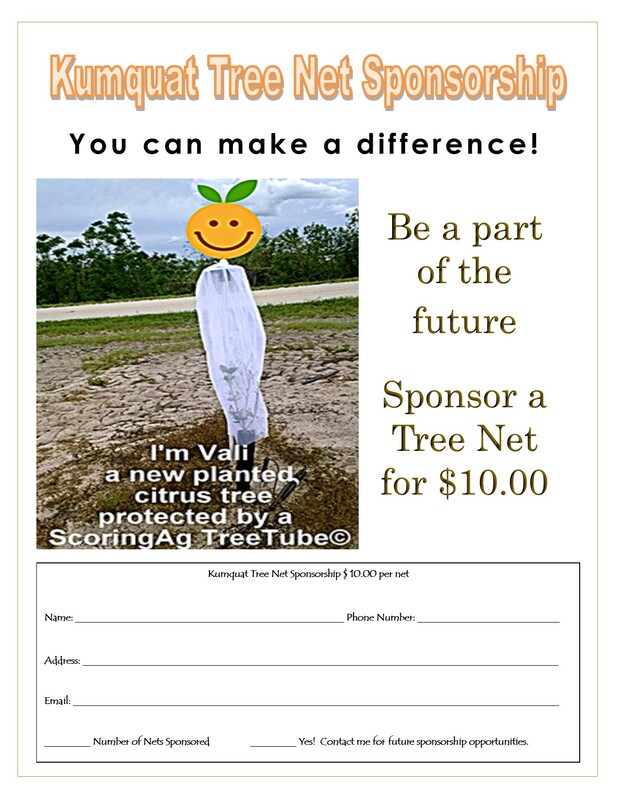 We are asking that all of our families sponsor a tree net in honor of your children and family members. 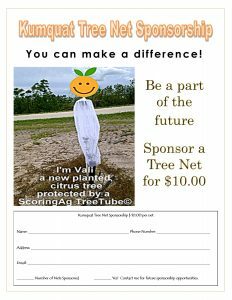 Your sponsorship of $10.00 per net will help ensure the future of our Kumquat Industry here in St. Joseph, Florida, as well as ultimately support the center for years to come.